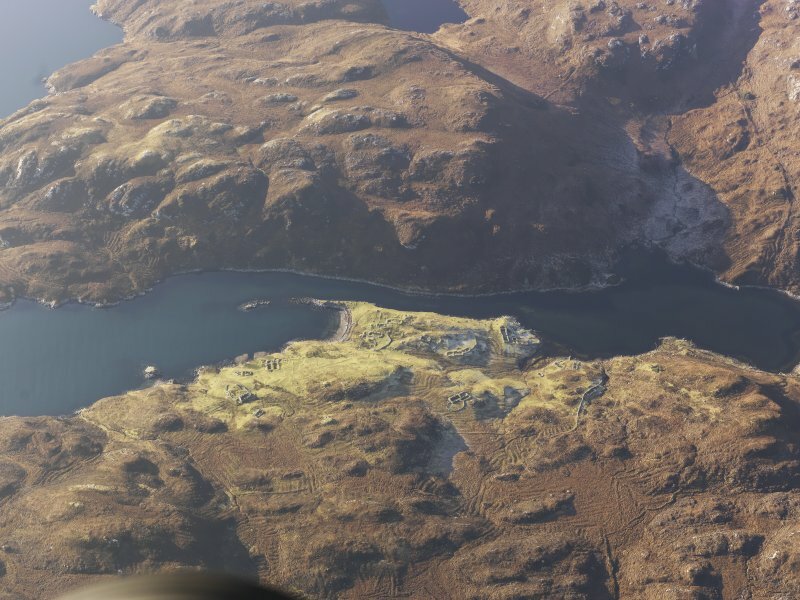 Oblique aerial view centred on the remains of the township, taken from the WNW. 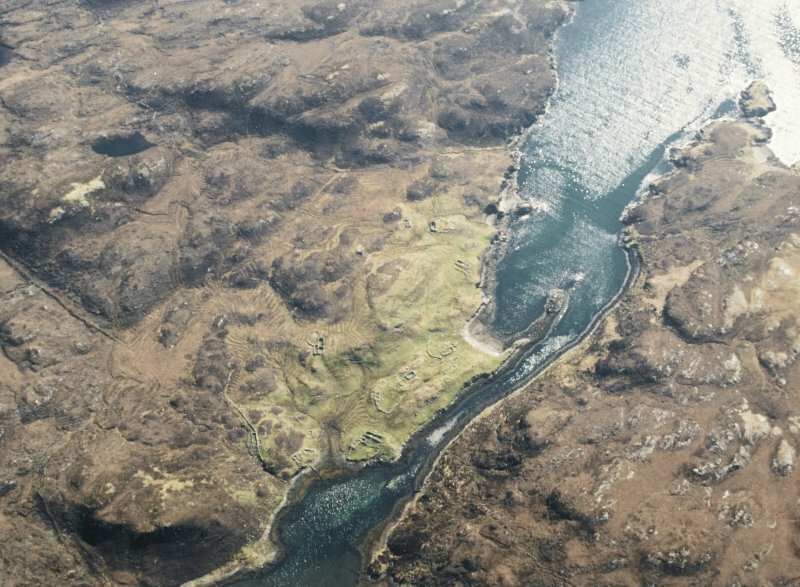 General oblique aerial view of the remains of the township, head dyke and lazy beds at Stiomrabhaigh, Lewis, taken from the NE. A township comprising one unroofed, twenty roofed buildings, five and a head-dyke enclosures is depicted on the 1st edition of the OS 6-inch map (Ross-shire, Island of Lewis 1855, sheet 42). Fourteen unroofed buildings, four enclosures and the fragmentary remains of the head-dyke are shown on the current edition of the OS 1:10000 map (1972).